The Chichester open studios art trail started its second and last weekend, today. The weather as hoped for, was very good although it has blown quite hard. The wind has not kept people at bay and we had a lot of very interested visitors. We got a few visitors who chanced on our set-up and as always I took this as an opportunity to get them interested in botanical art. However, it seems that most of our visitors had highlighted coming to see my work. 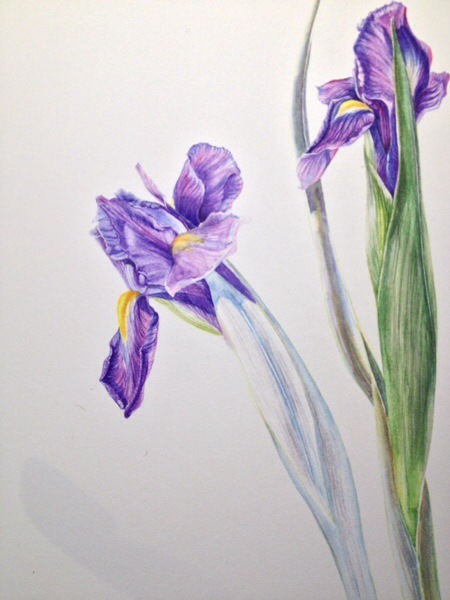 For the first weekend I decided to paint irises in watercolour as I had spent so long using colour pencils on the crab apples. Our visitors were very interested in the progression through drawing and first layers of colour. 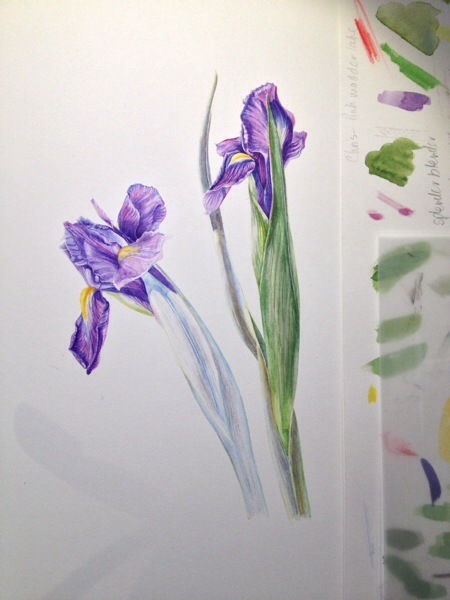 I continued with the painting during the week as the irises rapidly died. How to finish the painting without the flowers? I bought some new irises, but they were redder than the original ones. 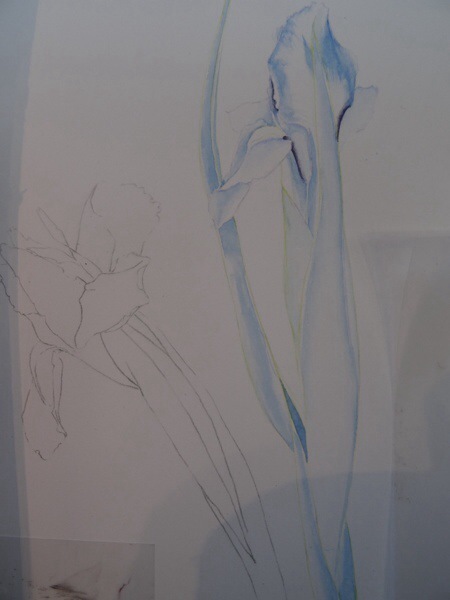 Today I have continued the painting using the new irises for their form and size, but I had to bear in mind the colour palette I needed to use. 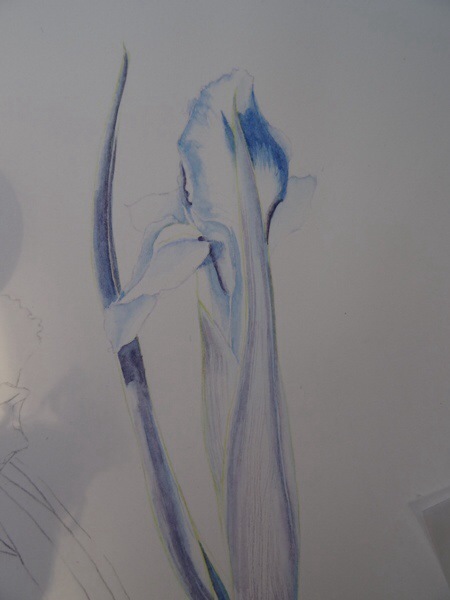 I will be continuing my demonstration on the irises for whoever is interested on the last day of open studios tomorrow.